Wednesday’s questioning of former members of Cabinet under the People’s Progressive Party (PPP) by the Special Organised Crime Unit (SOCU) regarding the sale and transfer of lands located in Sparendaam, East Coast Demerara, popularly known as “Pradoville 2” is paving the way for the Opposition to take actions against Government for various transgressions over the past three years. This is according to Opposition Leader Bharrat Jagdeo at his weekly press conference on Thursday. He told media operatives that the former Ministers were mainly asked about a $13 million road development contract and about their knowledge of property vesting laws. According to Jagdeo, he is happy with the course that the probe is taking. “[There is] duplicity here but they’re digging a deep hole for themselves… Trust me, they don’t know what they have done,” Jagdeo asserted. Insisting that the prolonged probe is only a political gimmick used to distract the public whenever Government is on its “back foot”, the Opposition Leader maintained that he will not settle the matter and will “fight it in court”. Jadgeo along with other former Cabinet Ministers were summoned to SOCU headquarters on Wednesday for further questioning into the ‘Pradoville 2’ probe. While Jagdeo did not show up, he indicated that he will be working out an appropriate timing with SOCU. 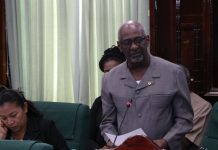 Nevertheless, among those questioned on Wednesday were former Public Works Minister Robeson Benn, former Amerindian Affairs Minister Pauline Sukhai, former Labour Minister Manzoor Nadir, as well as former Education Minister Priya Manickchand. The coalition Administration is contending the acquisition of lands in the area by former Government officials is a criminal act because of the belief that it was sold below market value. Since then, several former Government officials have been questioned by SOCU and according to some, it is becoming “harassment”. Nevertheless, Jagdeo revealed that Wednesday’s line of questioning has opened another avenue for the Opposition to take action against Government, particularly with regards to the $150 million contract that was singled sourced to a Dutch company. Based on a complaint from the Opposition, the Public Procurement Commission (PPC) had probed and found that the sole-sourcing of the contract, which Public Infrastructure Minister David Patterson got approved by Cabinet, to LievenseCSO for the feasibility study of the new Demerara River bridge had breach the procurement laws. The Opposition has since sent the matter to SOCU for it to be further investigated and actions taken. 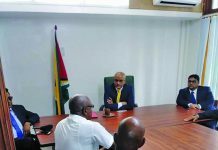 Jagdeo explained that previously, they would have only been able to go after the Patterson for bypassing the tender laws and taking the unsolicited bid to Cabinet. However, he noted that Cabinet members usually hide under the lid of collective responsibility, but now, SOCU has lifted that veil to individual responsibilities of individual ministers. “Now each Minister who sat in Cabinet when the illegal contract was approved can now be charged; not only Patterson. So each of those persons in Cabinet now will be open to questioning… The Public Procurement Commission investigated this, they found it illegal that somebody got a contract that they shouldn’t have for $150 million. So that when this is investigated now by SOCU, they now have to invite every single member of this Cabinet to ask them about this contract [and] whether they were aware that the procurement laws didn’t give them a right to approve such a contract, including President Granger. In a way, this new twist will allow us to resolve us another issue,” he posited. The Opposition Leader went on to say that Cabinet also broke the law when it approved the contract since it has no right of approval. “We removed that right when we passed new procurement laws for Guyana. Cabinet, now under our laws, only has a no objection role so the Cabinet acted illegally when they approved Patterson’s unsolicited bid that he took to them,” he contended. 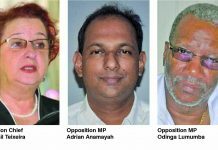 Former President Jagdeo also went on to outline that despite making claims of the PPP stealing about $28-35 billion annually, in the three years the coalition has been in Government, Pradoville is their biggest find of alleged corruption. 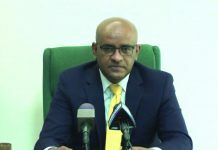 On the other hand, Jagdeo said that over the past three years the PPP has gathered a lot of evidence of corruption against this current Administration but efforts to get justice against those responsible Ministers have been met with hurdles such as the Director of Public Prosecution’s nolle prosing criminal charges against five Ministers. To this end, Jagdeo expressed the hope that the SOCU probe against Minister Patterson would not be delayed, adding it is a straight forward matter.